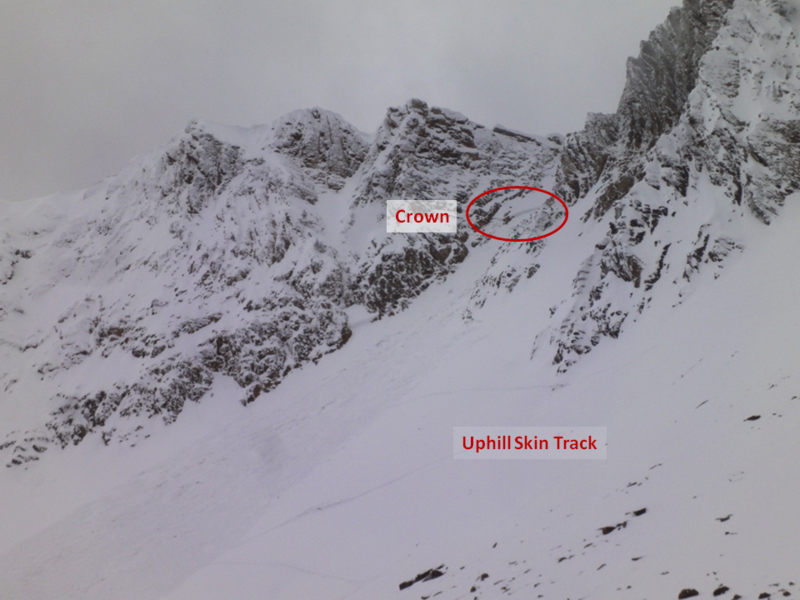 On Sunday, October 28, three male skiers in the northern Bridger Range were ascending a south-facing slope immediately south of Frazier Basin when they triggered an avalanche. All three were partially buried. Two were injured. 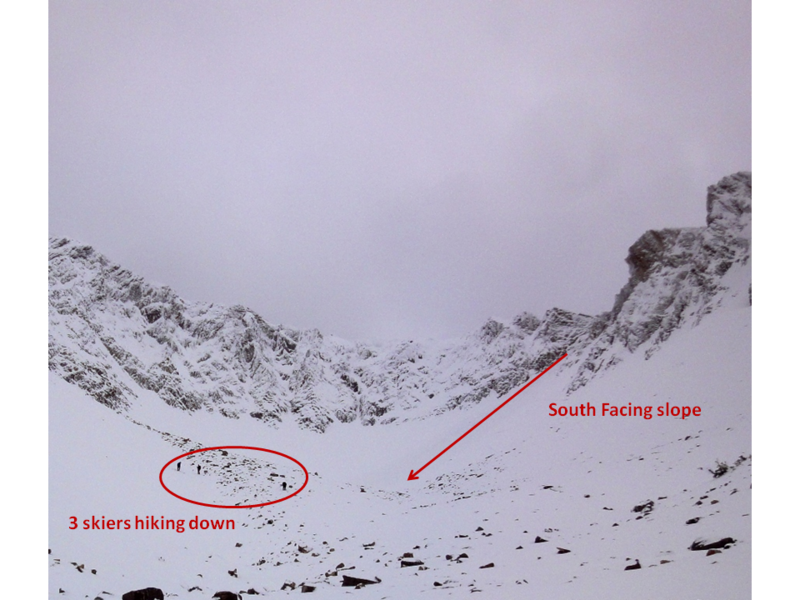 The avalanche was estimated to be three feet deep, 100 feet wide and ran approximately 600 feet vertical. US classification is SS-AS-U, R2, D2.